This is a spinoff addon from my addon Kerbal Construction Time containing only the booster recovery code. I split it off since 0.24 makes recovery of spent stages practical in the stock game. This mod allows funds to be recovered, at a reduced rate, from dropped stages so long as they have parachutes attached (not necessarily deployed). An activated engine (or multiple), excluding SolidFuel powered engines (engine ISP will be properly averaged). This is designed primarily for stock-alike engines. Mod engines that require strange fuels may have unexpected issues. Powered recovery is made possible by Malkuth, of Mission Controller Extended. Malkuth graciously offered the MCE powered recovery code to me, which was used as a base for the code implemented here. Adding a heat shield can reduce this chance by up to 100% (note that the chance of burning up can exceed 100%) based on how much material remains. If 50% of the heat shield material remains, then the chance of burning up reduces by 50%. 100% remaining -> 100% reduction, 10% remaining -> 10% reduction, and so on. As of 1.6.6 for KSP 1.2.2, stages eligible for powered recovery will attempt to reduce their speed to below the minimum speed for burning up by using fuel. PSA: Set your chutes to open at Min Pressure of 0.5 and activate/stage them with your stages! KSP 1.0 added reentry heating (and parachute breaking) and an increased physics range (now 22.5km). If you drop a stage below ~10km it might hit the ground before you are out of physics range. Setting Min Pressure to 0.5 and activating the chutes will cause them to deploy around 4.5 km at a hopefully low enough speed. Set it higher than 0.5 if you'll be dropping them at speeds higher than 250 m/s at altitudes around 5km or less so they aren't ripped off. License is GPL v3. Source is on GitHub. - Built against KSP 1.4.0. Might be backward compatible. - Added support for ScrapYard mod. Adds parts to inventory upon recovery. - Update to KSP 1.2.2. - Powered recovery now tries to perform a reentry burn to reduce speed and avoid burning up. - Update to KSP 1.1.2. Huge thanks to rem0230 and Cerebrate for their help! - Powered recovery should work properly now. Requires 300m/s of dV to work. - Hopefully fixed issues with ridiculous distances from KSC. If not, now logging lat/lon of stage and KSC, to help debug. - Tie into the stock upgrade system. - Added FMRS support. The two shouldn't try to recover the same things now and should play nicely together! - A bit of Flight GUI rework to make it easier to use, take less screen space, and generally be better. - Deadly Reentry support moved to use Stock system. Doesn't scale with Stock setting yet, but if Stock is set to 0% then SR won't burn things up. - Fixed issue with losing experience on recovery. Kerbals now gain experience as appropriate for landing on Kerbin. 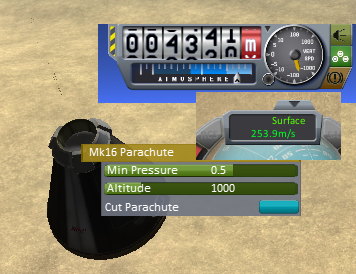 - Fixed issue with calculating parachute drag values that caused parachute recovery to not function. - Automatic recovery of launch clamps when they are unloaded. - Right clicking on a stage in the flight GUI will now delete it. - Added indicator to flight GUI showing which stage is selected. - Contains a bug where kerbals will lose experience if they are in the craft when it's "recovered". Will be fixed soon. NOTE: Does not include any changes due to strategies, so you won't get extra recovery factor for the one (yet). - Added Ignore List. Any stages made up entirely of parts in the ignore list won't attempt to be recovered. - Reworked the flight-GUI a bit. Made it smaller, draggable, and minimizes to just the list until a stage is selected. Hopefully even less intrusive now. - Found a general solution to the fuel use problem for powered recovery. Can now handle engines that require any fuel amounts without being CPU intensive. - Forced no checking on scene change. Should fix erroneous messages appearing on scene change for some users. - Should have been 0.01 pressure. I'm sorry about the second update! - Changed recovery code to check for altitudes above 100 meters and pressures above 0.1 instead of just searching for below 35km. - Fixed issue with displaying orbital velocity vector instead of speed in Flight GUI. - Was returning funds even for stages that had burned up, fixed now. - Added error catching to recovery code. Even if there's a bug, it shouldn't break your game now. - Removed a bunch of debug code from the Powered Recovery code. - Remembered to include the license in the download. - Powered recovery. Controlled stages can be landed with their engines. Requirements will be listed in a separate section. - Editor helper now shows results for current fuel levels and with empty fuel levels. - Several small improvements to flight GUI (wording and such). - Several bug fixes for Vt calculation and with stock parachutes and crashes. - New Flight GUI which presents all Recovered and Destroyed Stages since Flight was started in a convenient, easy to use dialog. - Fixed an issue with calculation of terminal velocities. I was missing a square root. - Updated the API, see explanation later in the OP. - Non-ablative shielding counts as 400 ablative shielding instead of decreasing the burnChance to 0. - Added EXPERIMENTAL Deadly Reentry support. It's based on velocity percentages above the DeadlyReentryMaxVelocity. 2% chance of failure per 1% speed exceeded. Each 1% of heat shield removes 1% chance of failure. - Changed recovery of kerbals and science to enabled by default. 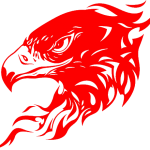 1.1.3 - (07/22/2014) - Added API. Made it so Kerballed command pods will also increase recovery value to 100% of Stock. 1.1.2 - (07/20/2014) - Fixed a small issue that would cause recovery to fail if multiple identical parts were on the same recovered vessel. 1.1.1 - (07/19/2014) - Added science recovery, 100% if probe core attached, and messages. 1.1.0 - (07/18/2014) - Added ability to recover Kerbals (disabled by default). Limited recovery modifier to between 0 and 1. Updated to work with latest RealChutes. 1.0.1 - (07/18/2014) - If you make something configurable, you should make sure it actually does something. Derp. If you're feeling particularly adventurous, the latest StageRecovery builds are available on the development thread. These will likely have bugs, but will also incorporate the latest fixes and newest features. I should probably watch his 0.24 videos at some point. One of my users of KCT suggested I split this off from it, since KCT has had booster recovery since February. Not sure if he predicted it... Mission Controller mod had this capability for a very long time. Ah, didn't know about this one. But i meant dedicated mods for recovery, now that its a core mechanic. Teeny question: Wat if there is science on the stages? Does it go caput? Yes, this does not recover science or kerbals. It's not meant to be a substitute for traditional landings when dealing with important things (science and kerbals) that should be landed manually. I may add that in later, but I feel that's a little too OP since they're delicate enough to warrant manual landings. Stick it in as a config option. Would be nice to be able to use this and EPL+kethane/ORS to build disposable science or resource return ships I can just chuck at kerbin from orbit and not worry about as I work on transfers and whatnot. As awesome of an update 0.24 is, and i absolutely love it, i expected this or something similar to be stock and i kindof frowned when it wasn't. I haven't played enough to see wether or not the funds make up for it, but as in the real world, the part of my spaceship that actually does a mission and returns is often only a fraction of what leaves the launchpad. So how does it deal with re-entry? Will a tank dropped while sub-orbital in space burn up? Because I'd like that to be a thing, at least if DRE is installed. Looks awesome otherwise, and I can't wait for KCT to be updated. It doesn't simulate any physics, it just looks for the vessel being destroyed in atmosphere so it won't burn up if dropped from space. However, if the periapsis is above 0 I believe the ship/debris is no longer considered Sub-Orbital and is instead In-Orbit, which means it won't get recovered by this despite being destroyed by the atmosphere. I generally consider this fair enough, since anything not going fast enough to have a positive periaspsis could possibly survive reentry. It also comes down to personal preference and responsibility. With my designs, if a stage makes it all the way into space I generally don't put parachutes on it and let it get destroyed, but boosters that only get up to 35km or so are fair game. I'm having a hard time parsing that, let me see if I got it right. You're saying the mod triggers when a part has been auto-destroyed by being too low in the atmosphere, right? And it can tell what the periapsis was when the part was destroyed? And if so, it gives you credit if the part's periapsis at the time of auto-destruction was negative (meaning it would have hit the ground) and assume that if the periapsis was above the ground that the part was going too fast to survive re-entry. I suppose that's fine, and it'll hold me over until I get around to extending the physics distance and adding some kOS scripts to land and recover them manually. hmm how is this any different from DebRefund? I think I have found a bug. If you go to the tracking station, nothing shows up on the list of objects and the button to leave the tracking station does nothing. I confirmed that it was this mod because after removing it, the bug went away. I am running 32-bit ksp on windows 8 64-bit. The mods I am running are kethane, Mechjeb 2, DRE, FAR, KJR, Navyfish's docking, precisenode, Procedural fairings, TAC life support, and kerbal alarm clock. I am going to reinstall the mod and post some screenshots of the bug. Kind of. It looks to see what state the vessel is in and if it's sub-orbital or flying it will continue trying to recover it. It begins this check when the vessel is destroyed, in this case by being unloaded within the atmosphere. If the periapsis is above 0, then it is orbital, not sub-orbital and so it won't be recovered if it's destroyed. Well, that mod looks cleaner but we both wrote ours independently at roughly the same time I do want to integrate with the stock toolbar and message system, I just haven't had time to figure that out with trying to update KCT and also trying to get a new YouTube video out today. This mod is essentially stripped right out of KCT and changed to be made functional on its own, while DebRefund appears to have been written specifically for the 0.24 update. My code was originally written for total part recovery for putting parts in a part inventory, so DebRefund's form of partial recovery is more advanced than the flat rate form I use. I do plan on adding config options for science and kerbals. Also, beware of the new Real Chute update. I need to verify that it's working properly, as my testers are saying that it's bugged with my KCT update, meaning it could be bugged here. The last update appears to have fixed it. In my opinion there is no reason for DebRefund and StageRecovery to compete, so I'm going to suggest that people use DebRefund as the UI integration and gameplay mechanics are better than what I'm offering here. It also means I can focus more directly on KCT, which has yet to have a 0.24 release. Vendan and I are in talks of getting compatibility between DebRefund and KCT for recovery mechanics. If for some reason you really want to use this instead, let me know. Otherwise, KCT will have virtually identical recovery mechanics when it releases. Kerbal and Science recovery will not be supported in KCT, however. magico13, thank you for being one of the pioneers of this functionality in any case. You did a good job.